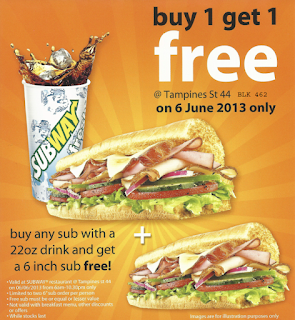 Singapore Freebies: Subway: **One Day Only** Buy 1 Free 1 Promotion!! 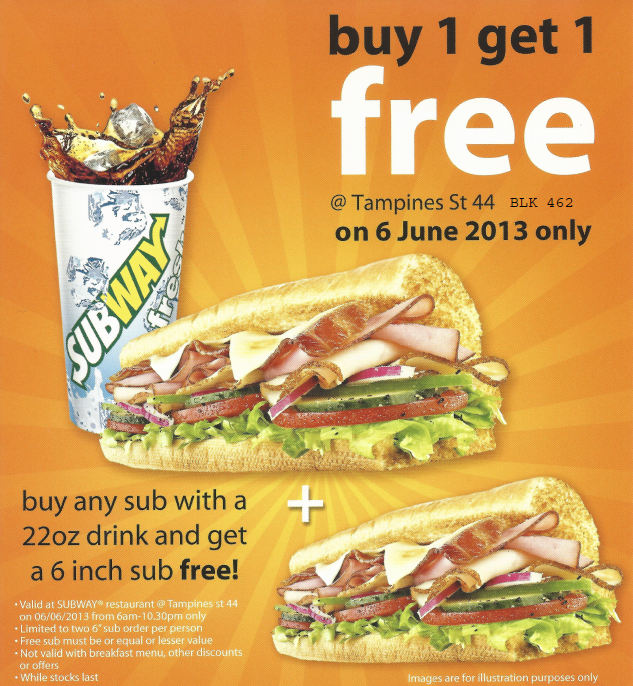 SUBWAY® offers foot long and 6-inch sandwiches, made on freshly baked bread and prepared just as you want it, right before your eyes with a wide assortment of meats, cheeses, vegetables and toppings. They also offer wraps, delis and salads, potato chips, freshly baked cookies and choice of drinks to make every visit a fresh one.